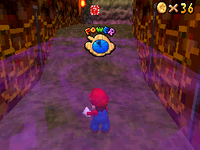 Navigating the Toxic Maze is the fourth mission of Hazy Maze Cave in Super Mario 64 and Super Mario 64 DS. 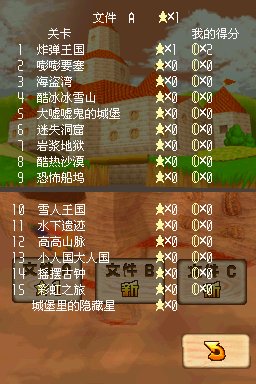 The mission involves navigating the toxic Hazy Maze and reaching the Power Star at the end of one of the exits. From the start of the maze, the player needs to take the path ahead of them, followed by the left path, and then finally climbing up the second ledge, taking care not to take too much damage from Snufits or get trapped in small holes. After entering the room through the door on the ledge, the elevator at the end of the room will take the player to another room containing the Power Star. This page was last edited on February 24, 2019, at 04:00.